RIGHT SPEAK: What Cities (and their metro-areas) are showing the best long-run Economic Growth Rates in the U.S.
Metro areas—which include cities along with surrounding suburbs—are already doing better than smaller nonmetro areas, according to the study, compiled by economists at IHS IHS Global Insight. 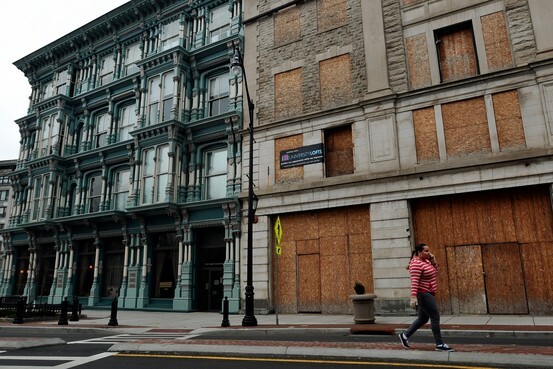 Slow economic growth is projected for Binghamton, N.Y.
Last year, metro areas saw better economic growth and hiring than smaller regional areas. Looking at 2014, the IHS economists forecast payrolls in metro areas will rise 2.0% versus 1.6% in nonmetro areas, according to the report, released Friday in conjunction with the mayoral group's annual meeting in Dallas. 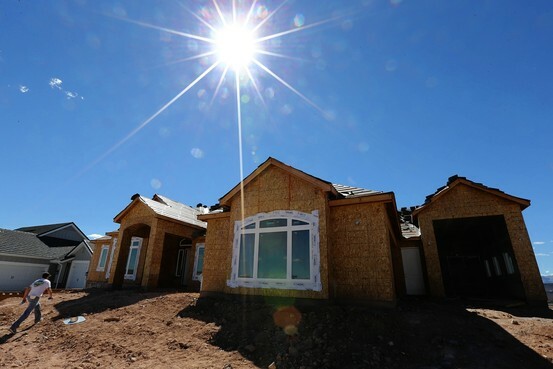 St. George, Utah, is set to be one of the fastest-growing areas. The employment gains will allow almost half of all metro areas to return to their prerecession employment levels by the end of this year. The report also projects 20% of metro areas will have unemployment rates below 5% by the end of 2014. The U.S. jobless rate stood at 6.3% last month. Looking further ahead, metro economies will be where the growth is. While the Federal Reserve last week projected the U.S. economy's long-run growth at 2.1% to 2.3%, the mayors' report says 21 metro areas will post growth averaging more than 4% from now through 2020. Heading the list is Midland, Texas, with growth projected at 5.8%. The study says agriculture, construction and mining industries will boost Midland's expansion. In fact, almost all the big-growth areas are in the South and West. 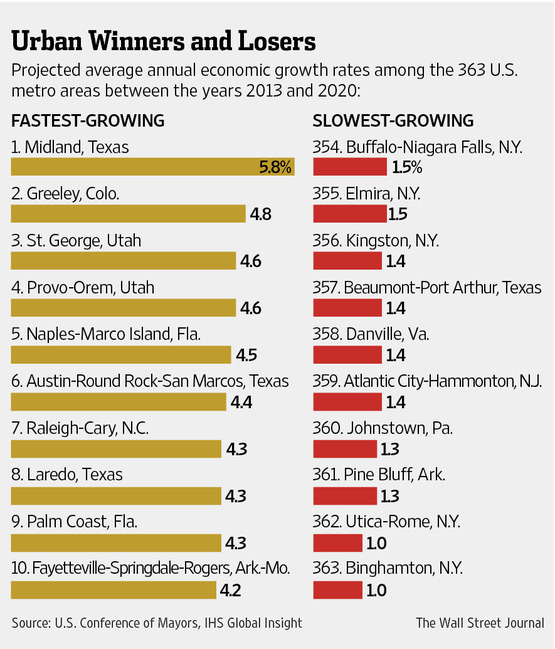 Of the 21 growth-leading metro regions, six are in Texas and four in Florida. Construction, energy, computer jobs and professional business services will be major sources of the growth, the study says.